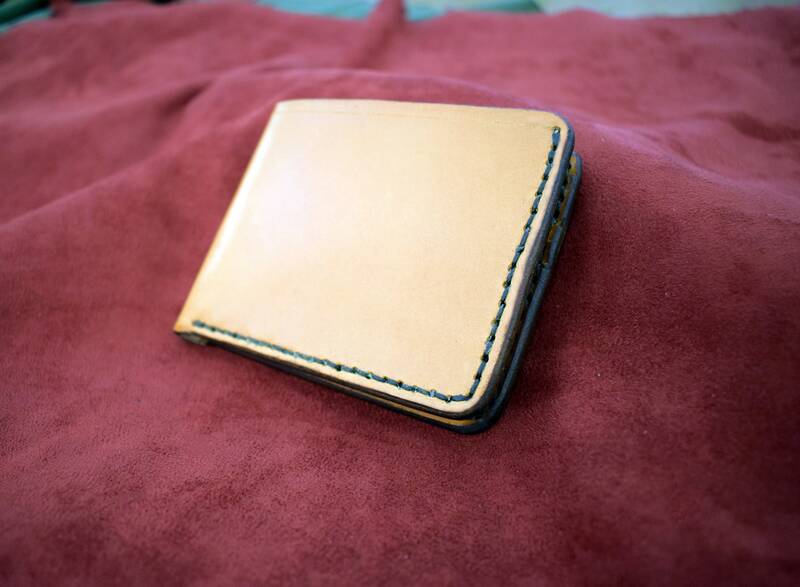 This is a bi-fold wallet handmade out of 2-3 ounce Hermann Oak English bridle leather. 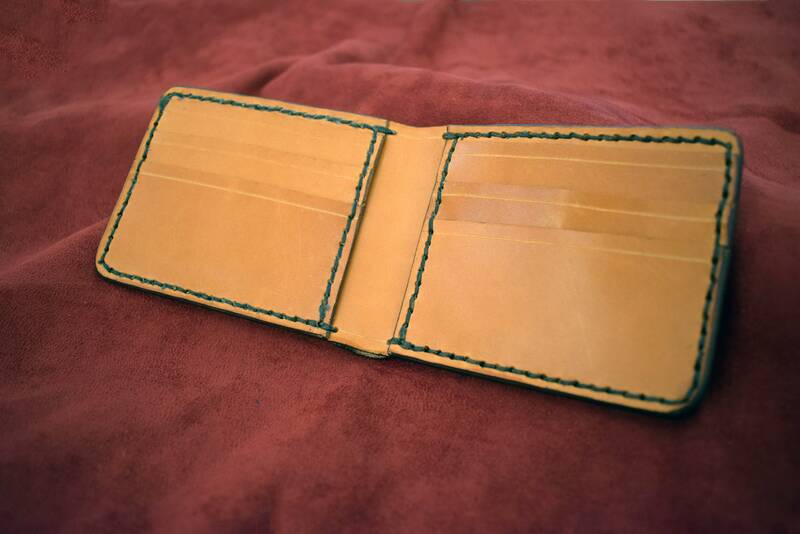 It is the same pattern as our other bifold wallet, only made from a higher end leather for more discerning tastes. 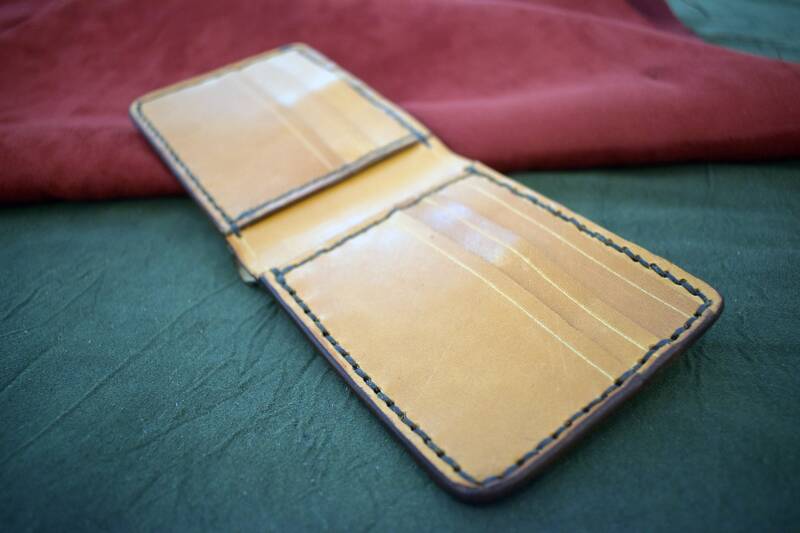 This wallet features 6 card slots, 2 large pockets behind the card slots, and a spacious slot for cash. 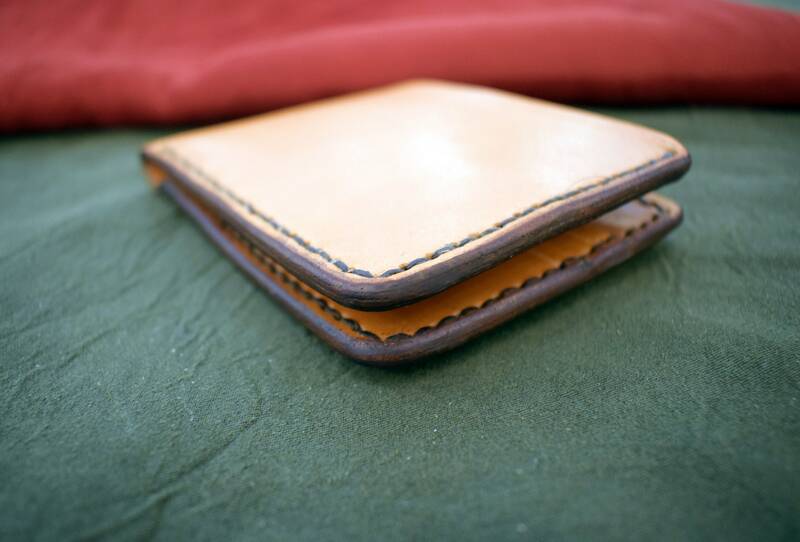 The color options currently available from hermann oak are London tan (light brown), British Brown (dark brown), Natural, and black, though the natural can be dyed many different colors, feel free to message me if you have something else in mind.